In many countries (Australia, China, Japan, South Africa, Central Africa, South America, Central America, India, Indonesia, Mexico, New Guinea, Tanzania, Thailand, Malaysia...), insects are commonly eaten and highly appreciated for their nutritional value and delicious taste, even preferred to meat, by more than 2 billion inhabitants of our planet, for their nutritional and gastronomic qualities, since the dawn of history. In Europe, we eat oysters (raw), shrimps, snails, eggs, and frog's legs. Why not eat insects ? Bruno Comby's pioneer nutritional studies started in the early 1980's, when he started studying the many benefits of eating insects in different cultures and parts of the world. He started eating and studying crickets, locusts and mealworms. Since then, he has tasted over 400 different species of insects, has given thousands of presentations and has developed industrial production systems to produce high quality insects for food. 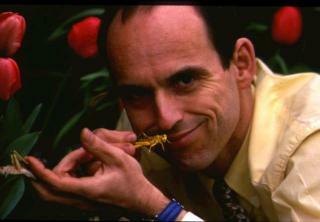 He has initiated thousands of entomophagic events around the world. The most surprising fact is that if the idea of eating insects still seems disgusting to many, in practise, and it is a paradox, the taste of insects, for those who do eat them, is in fact always considered delicious and generally preferred to the taste of meat or fish. Bruno Comby's book, "Delicieux insectes", originally published in 1989, presents his early research and experience in the field of entomophagy (from the Greek : entomos = insects, and phagei = to eat). This pioneering book was the object of considerable interest in the international media (over 1500 TV interviews and press articles around the world), as well as among the scientific community, and the general public worldwide (see the references). It has inspired many authors, scientists, and cooks, and has initiated the renaissance of entomophagy in the modern world. Today, in the USA, Canada, Germany, the Netherlands, Japan…, cooks and restaurants have adapted their menus and adopted Bruno Comby's insect recipes, and many scientists have confirmed his early sayings about insect-protein for human nutrition, proposing to farm them to help solve the problem of famine in the third world. 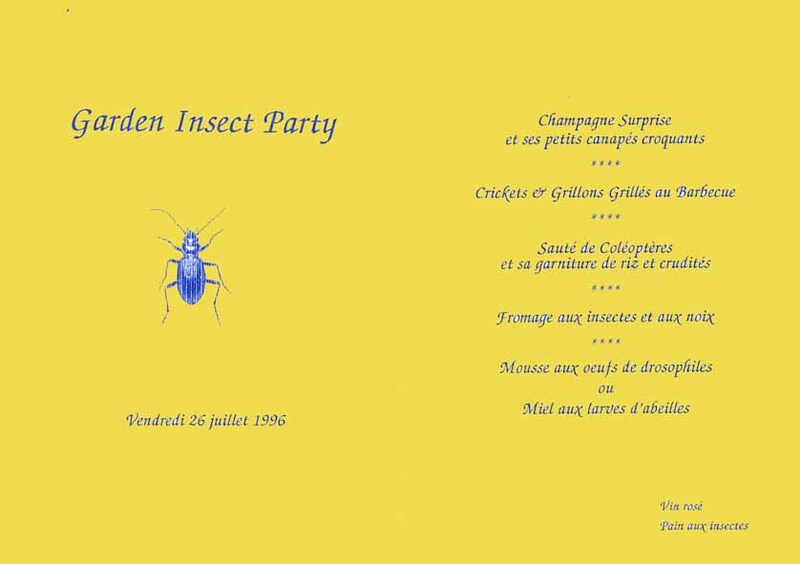 Today in the United States, in Canada, in the Netherlands, in Germany, in Japan, and of course in France, distinguished chefs, cooks and restaurants have enrichened their menus and apply Bruno Comby's insect recipees. Entomophagy is now frequently in the headlines, again supported by the FAO for example in 2013 : http://www.youtube.com/watch?v=eKRUuGeTOg0&feature=player_embedded#! As the cost of oil and energy rises, relying on meat to feed 10 billion inhabitants of the planet in 2050 is clearly not sustainable. Insects are much more abundant, cheap, easy to produce, require much less land surfaces and are much less energy-intensive than meat. We, at the Bruno Comby institute, are proud to publicize Bruno's historical leadership as the pioneer of this ongoing renaissance of entomophagy in the modern world. Insect recipes - Interview on entomophagy - Example of a typical insect menu - Press articles about entomophagy - Photos of insects - Photos of insect-eaters - Press conference on insects in Germany - Press article in German on entomophagy - Insects for the TV show "Tutti Frutti"